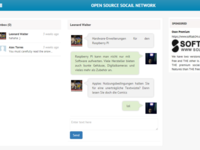 Opensource-Socialnetwork (OSSN) is a social networking software written in PHP. 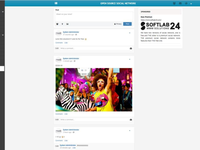 It allows you to make a social networking website and helps your members build social relationships, with people who share similar professional or personal interests. 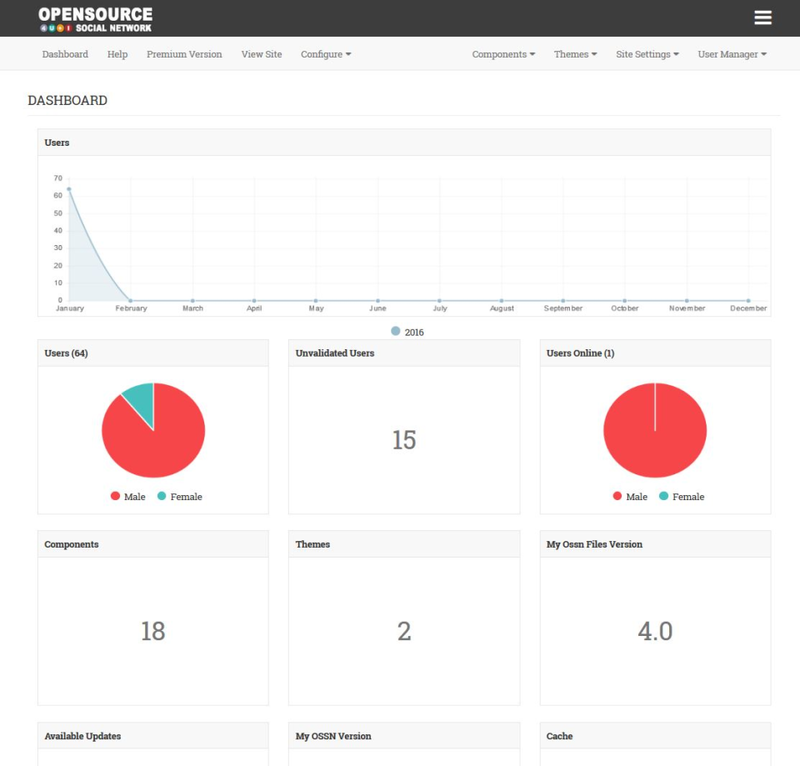 OSSN is released under the GNU General Public License (GPL) Version 2. 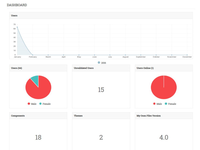 Ossn is founded in November 2014 by Arsalan Shah, It can be easily installed on Apache based server having php 5.4 and mysql support. 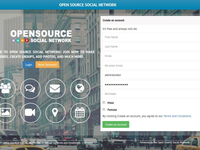 Open Source Social Network Reviews Recently Reviewed! Pros: Easy to setup and get started. The ability to theme it like facebook. Ability to modify source files. Cons: Disliked the support, and had a hard time finding themes that worked. Did not seem to have much luck running plugins or modules. Comments: It is very good social network cms to start your own website. 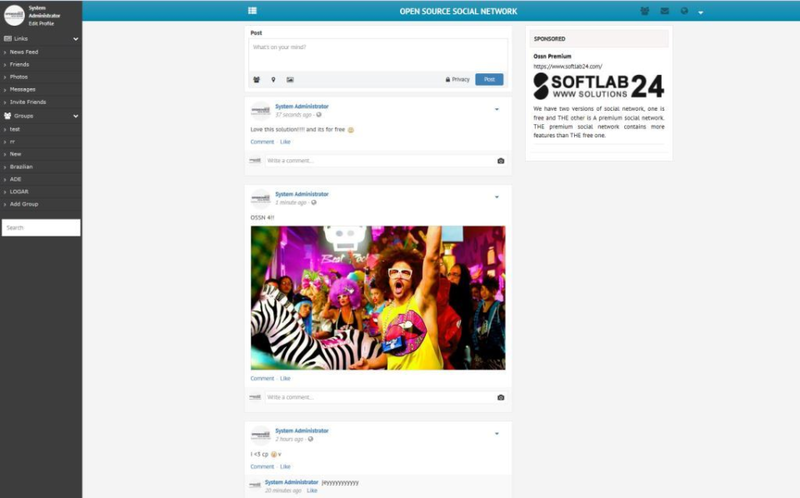 A nice cms to make your own social network with lots of features and options with active developers growing all the time.